We had such a wonderful Birthday celebration and Christmas with Daisy! She was soooo excited just to be in the ambulance (that's how weeks in isolation gets to you, I guess prisoners must feel the same when they have a court appearance!) and her little face when she realised when she was at Chase.... it was a picture. 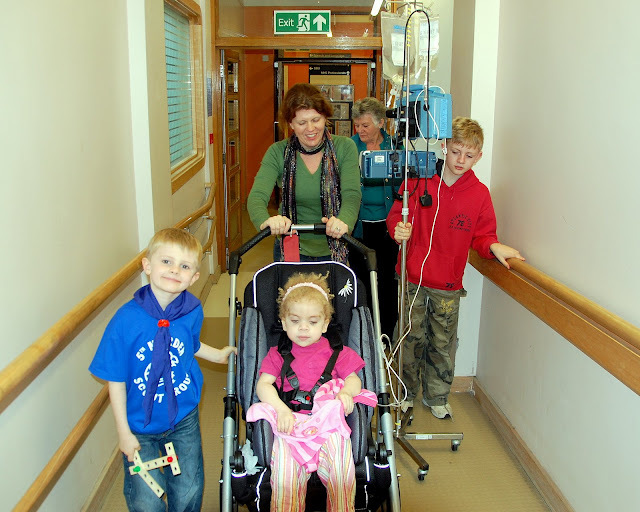 The picture above is Daisy getting ready to leave the ward with our wonderful Chase friends Gemma and Rachel. If it wasn't for Gemma and Rachel we would not have got to Chase for her birthday or Christmas, they organised everything - training all the relevant staff on how to do Daisy's TPN and infusions, liaising with the ward, sorting out presents for the children and Daisy's birthday party and even booking a babysitter for Andy and I to go out for an evening during our stay. This is Daisy arriving at Chase and realising where she was! Opening presents with big sister Xanthe. I will post more pics but I need to download the memory card from Andy's camera, and as I said, at the moment there are just not enough hours in the day! We just had the best time at Chase - Margaret the chef cooked wonderful veggie food for us as well as Daisy's birthday cake (which Xanthe decorated), the nursing staff took care of the TPN, the boys alternated between the Xbox and the computer room and Xanthe created a production line of Christmas presents and cards in the art room. I caught up on some sleep and Andy caught up on some TV! Daisy was in her element, she was able to sit in the high chair with us for mealtimes - something we have so missed at home, she loved the sensory room and joined Xanthe's craft sessions in the art room. Seeing her at Chase made us remember what a bright little girl she is, she just loved all the social interaction and attention. All the activity meant that she depleted her blood sugars a bit quicker than usual and we got through a couple of tubes of hypostop when her sugar levels dropped. It's something we are going to have to remember when she is back on her feet. Christmas day was magical - Santa had left snowy footprints down the corridor and there were big sacks of presents outside all the children's rooms and even our room! Daisy has got the hang of present unwrapping and joined in with all the general mayhem with the children. After breakfast two fire engines arrrived and Santa got out of one of them together with more presents! Jules ran a mile - inspite of his gun obsession and violent tendencies he is a wuss at heart and is terrified of Father Christmas! Daisy loved the fire engines and the firefighters were very taken with her. They sprayed the gardens with white foam and turned the outside into a winter wonderland, it looked fantastic. We returned to the hospital on boxing day and everyone commented on how well we all looked - I definitely benefitted from some sleep. Daisy has been in fantastic form since Christmas and the best news of all was that her blood cultures have come back clear which means that (for now) we have beaten the bugs in her bloodstream. She still needs to be on her antibiotic infusions (including a dose of Vancomycin which would normally be prescribed for a 70kg adult according to the pharmacist!) until her port is removed. This is the sticking point - our friends at Great Ormond Street offered us a date of 23rd December to take the port out and insert a picc line temporarily. As I had turned this down Daisy now has to go onto the waiting list, even though I told them not to offer us dates around Christmas week. It would have been so good if they could have taken her in this week as Andy is off work and childcare is easier but that is not looking likely. The doctors at the local hospital are liaising with Great Ormond Street to try and get things happening, until she has the port removed she cannot start on the new immunosuppressant therapy that her Gastroenterologist wants to try and after the port removal she needs a series of other procedures which are all being delayed. 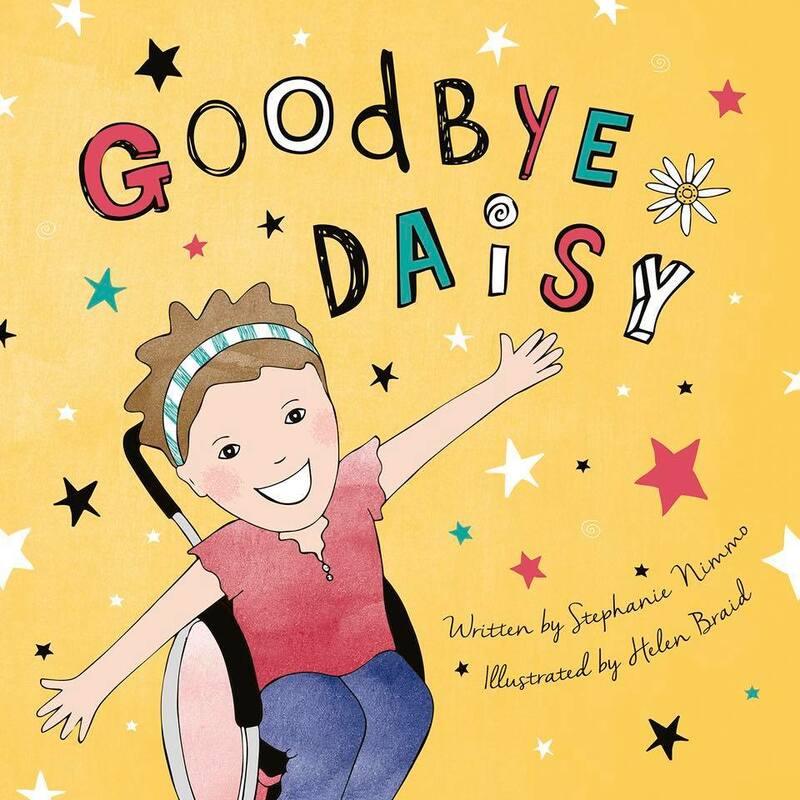 Our focus for the new year is to keep pushing to get things in place for home TPN for Daisy. I have seen a lovely adapted special needs cot which would be perfect for Daisy as she needs a hospital cot at home now but this one doesn't look too institutionalised, we have applied to a charity to fund it. We are also looking into installing some sensory lighting into her room as she loves the sensory room at Chase and at her school so much. We will get her room decorated in the new year so that at least we are all ready to go from our end. Anyway, it's new year's eve and we are actually going out tonight. Our friends are having a child friendly party, so Andy will come home from the hospital at 7.30pm and take the boys and I will go up to the hospital for the late shift and go to the party at around 10pm. We'll toss a coin to see who does the early shift tomorrow morning! I know 2008 has thrown us a few unexpected suprises but it has also given us many things to be happy about - Theo started at the London Oratory and is loving it, even the tube journey does not phase him. Xanthe is doing brilliantly at school, she is involved in so many activities both during school and is doing well with her Flute and recorder playing, Jules seems to have clicked with school now and his reading is coming on so well. Daisy was such a hit at her school and we can't wait to get her back there. Inspite of everything going on Andy and I are so lucky to have four such wonderful, unique and happy children, it's something we will never take for granted. Thanks to all our family and friends for their cards, messages and presents over Christmas and all our best wishes for a happy, healthy and successful 2009! It's been one of those weeks, we have been thrown challenge after challenge - not all of them Daisy related. We are trying to keep focused on getting to Chase Hospice for Daisy's birthday on Monday and to spend Christmas together as a family. When we met with her GOS consultant last week he agreed to keep this week free and try and get a date asap to get her back in to have her infected line removed and a temporary picc line placed until we could go back in for a long term stay for all her other procedures. However despite his best efforts the only date that was available was 23rd December - the day after her birthday and just before Christmas. As Daisy has previously had problems with anaesthetic there was a danger that she could spend Christmas day in intensive care, meaning that Christmas would effectively be cancelled for the rest of the children who are counting the days until we go to Chase. Our moral dilemma was made worse as Daisy started to spike temperatures again - we were running the risk that if the MRSA was still in her bloodstream we could find ourselves in an emergency situation with a potentially fatal blood infection. The doctors took blood cultures and I kept everything crossed that the temperature spikes were the same virus which is currently laying Andy low and nothing more serious. We had a call from the microbiologists to say that the bloods were growing something meaning that she had a bacterial infection of the bloodstream - with Andy feeling so rough I had to try and make the decision, did we cancel Christmas and go to GOS or did we take the risk with the line and go to Chase. I was talking this through with Daisy's consultant when the attending consultant popped her head around the door of the cubicle to let me know that although the cultures were growing one bug it was not MRSA and not only that for the first time in 15 months her skin swabs around her gastrostomy site were negative for MRSA. This was amazing news, there is a strong possibility that we may have rid Daisy of her nemesis!!!! This made the decision to turn down the pre-Christmas GOS admission slightly easier - only slightly, the bug she does have in her bloodstream is still nasty and left unchecked could cause heart problems (not great with an already problematic heart) however on a scale of nasty bugs to have it is slightly less nasty than the virulent strain of MRSA that Daisy had been infected with. Of course things are never ever straightforward with our Daisy -the microbiologists would still like her line removed and this needs to be organised for as soon as possible after Christmas. Given that she also needs several other procedure at Great Ormond Street in the new year we will probably transfer up for a longer stay. While we allowed ourselves to breathe a little sigh of relief over the MRSA, another issue crept up to suprise us. Daisy is severely anaemic - at first it was thought that blood samples may have been contaminated, but repeat samples were lower. As always with Daisy the doctors are a bit stumped as to why haemoglobin levels are suddenly so low. The assumption is that she is anaemic because of her chronic gut issues but the haemotologists have ordered lots of tests to try to get to the bottom of things. 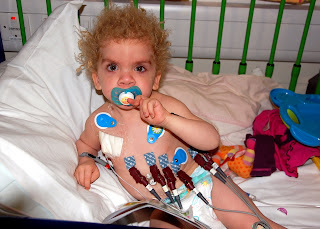 In the meantime, Daisy is currently having a blood transfusion, this is not as straightforward as it would be in any other child, Daisy has a problem maintaining her blood sugars as a result of her very minimal levels of growth hormone (this plays a role in regulating blood sugars as well as growth). Her endocrinoligist has taken her off growth hormone therapy while she is so ill so her sugars can drop quickly. While she is being transfused she cannot be on TPN so we are having to monitor her blood sugars incase she develops hypoglycaemia. I have a tube of hypstop at the ready to rub into her gums to bring her sugars up...nothing is straightforward with this girl! Needless to say Andy and I are living on reserves now - thank goodness my mum is staying to hold the fort! We are counting the hours until Monday when Daisy will (hopefully) be transferred to Chase to celebrate her 4th birthday. The team from Chase have pulled out all the stops to make this happen, nurses have visited to be trained on how to do Daisy's TPN and they are happy to do all her various drug infusions. Having Chase hospice as part of our lives has become more important than ever now - just having a few days off the physical effort of trying to be in several places at once and keep smiling will just be so fabulous. We are due back in the hospital on Boxing day and the following week we will probably be transferred back up to Great Ormond Street but at least we will have recharged our batteries and we will have had the opportunity to spend some quality time together as a family. I just hope my next post will be from Chase - I promise I will post some pics of Daisy in her party dress! "It's not the hand you're dealt, it's how you play it" - is going to be my motto from now on. Last week I went through every extreme of emotion, having to deal with the reality that things are not that great with Daisy. Her GOS consultant came to the hospital on Thursday and spent a lot of time both with her doctors and with us. Now we have a far clearer picture of what is going on with Daisy's gut - in some way it is a relief to know that our instincts all along were right and that unlike the other children with Costello Syndrome, Daisy was not going to grow out of her gastro-intestinal issues. She has a diagnosis of pan colitis, basically her entire gastrointestinal tract is inflamed and ulcerated, caused by her immune system going haywire and attacking her gut. If the ulceration was localised to her colon then that section could be removed and if needs be she could have an ileostomy. She is not a candidate for an intestinal transplant as she has too many medical issues making her odds of survival zero. The possibility of a bone marrow transplant to attempt to "reset" her immune system has not been ruled out but this is further down the line. At this stage everyone agrees that the current treatment with steroids does not seem to have worked and so she will be started on new, stronger immunsuppressant therapy (and all its scary side effects). Of course ontop of all of this is the small matter of the MRSA. It looks like the very aggressive and toxic antibiotic therapy is holding it in check but in all likelihood her central line is now colonised - meaning that the bugs are now clinging to it. So it has to come out, and this can only be done at Great Ormond Street. I found out today that her local consultant and GOS consultant have been in contact all weekend trying to get things in place for a new line before Christmas. It has to be done be an interventional radiologist, and the man who everyone wants to do the job is trying to move his list to accomodate Daisy. She has a habit of getting people to run around after her, it amazes me that we have got to the point that she is well and truly a signed up member of Great Ormond Streets special patients! 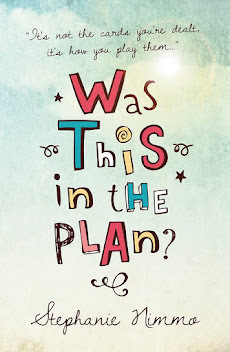 Not only are her clinical consultants rearranging diaries for her and juggling appointments but several microbiologists are working on the best drug treatments, pharmacists are tweaking tpn preparations and geneticists literally all over the world are testing her DNA and trying to get to the bottom of what has caused these massive changes to her immune system. Andy and I find it ironic that as the goalposts are moved by Daisy's condition, previous possible diagnoses look more acceptable. I remember when I was pregnant with her we were told there was a one in four chance she would have Down's - I was devastated at the time but if I knew then what I know now......And now it looks like Daisy has something going on beyond her Costello Syndrome diagnosis. When Daisy was in the neonatal unit Daisy was tested for everything possible and we were told that although at the time there was no test for CS, hopefully she would not have that. Of course when a test was developed she tested positive and we got on with things, embracing her uniqueness both as a child and as a child with CS. Now we are facing the probability that she has another mutation or genetic issue alongside the CS and we find ourselves wishing that she "just" had CS - oh the irony! TPN looks like it will be very much part of our lives from now on in. In the new year she will have another upper and lower endoscopy to see if there have been any changes in her gut following the drug therapy. She will also have a jejunostomy - so that we can try feeding her via the very top of her intestine missing out her tummy altogether. Giving her senstivities to volume when she is enterally fed nobody believes we will be able to get adequate nutrition into her via this route to do away with the TPN altogether, although it may enable us to limit TPN feeding to night-time only, and have jejunal feeding during the day meaning she could go home for the day and return to the hospital at night. In the long term we need to get set up to manage TPN at home - this is a minefield in itself although I know others who have managed it so I know it is not impossible, just even more life changing! However if this is the only way we can get Daisy home then that's just how it will have to be - as I said, it's not the cards you're dealt, it's how you play them! I know my recent posts sound upbeat but they really disguise the severity of the situation. Daisy has MRSA in her bloodstream, she is on massive amounts of toxic antibiotics, her bowel is diseased and inflamed and we cannot feed her via her gastrostomy so we have to use her main line to give her TPN. It feels like we are trying to put our lots of fires at once, every time we sort one another one starts. Clinically she looks well but her bloods tell a different story. MRSA has become our nemesis - she was colonised with it on a hospital stay 14 months ago (not Queen Mary's, you work it out) and it stuck in her gastrostomy - the perfect breeding ground for bugs. While it stayed in her gastrostomy it was fine - lots of people are colonised with MRSA and don't even know it, on it's own it's not something to worry about. However if it gets into the bloodstream it can cause a problem - not that great a problem if your immune system is working OK and you are well, but if, like Daisy you also have a permanent line into a main vein and are on massive amounts of immunosuppressants and steroids this is a bad combination. So ever one to move the goalposts, Daisy has now ensured that the priority is to sort out the MRSA - there is a big meeting on Monday of all the microbiologists and various doctors who may be able to work out a solution. She is on huge amounts of toxic antibiotics to try and contain the infection and clinically she is doing really well. Apart from the high temps last Thursday she has stayed well and bright. We know that children with Costello Syndrome metabolise meds differently and respond diffently to problems (and sometimes in a positive unexpected way as my friend Lisa reminded me in a recent email!) - so Andy and I are just hoping that Daisy will suprise us. Then the next priority is to get us all to Chase Hospice for her Christmas and Birthday and then we have to get back up to GOS to find out if her gut will ever work or if we are facing long term TPN - all of which will radically shorten Daisy's prognosis. I have had a lot of wobbles over the past few days and for the first time ever burst into tears infront of her consultant and dietitian, both of whom as mums themselves have become close friends over the years. Christmas is so important, this may be the last one we have with Daisy and everyone is doing everything to make this happen. We have had lots of scares with Daisy before - when she was born and when it was thought she had neuroblastoma, but there are too many things going on at once and we are playing a very fine balancing act. However, Daisy has suprised us before and we are relying on her to suprise us again and defy the odds. We were lifted yesterday afternoon however by the news that her Consultant from Great Ormond Street is coming today to meet with the team here and discuss Daisy's case. This is fantastic news - she has an amazing team looking after her and clinically is stable. We all just have to stay positive (and this goes for people reading this blog!) and be determined that Daisy will be OK!!!!! 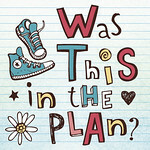 I tend to have my clearest thoughts and ideas at around 3am as I am normally awake at that time dealing with Daisy - it occurred to me at 3am on Friday morning that if we turned up for our outpatient appointment at Great Ormond Street in a week's time her gastroenterologist might not be completely up to speed with what has happened since she was transferred back here (yes I know you woud assume that the docs would keep them informed but I have learned to never assume anything in this game). I rattled off an email to his secretary and got a reply pretty quickly - the good news was that instead of us traipsing up to GOS for outpatients with all the hassle of ambulances, nurse escorts and taking enough TPN, he is prepared to come to Queen Mary's to see us. Sort of like a state visit! The bad news is he wants Daisy transferred back to GOS as clearly the treatment with steroids is not working. I am just hoping that they cannot free up a bed until after Christmas - we have to go to Chase at Christmas, it's the only way we will all be together as a family. Ironically the active MRSA infection will probably provide a suitable delay so that they will decide it is easier to wait until after Christmas. We have been trying to regrade Daisy's feeding - this apparantly is the medical term to get someone off TPN (feeding through the veins) and back onto enteral feeding (through the tummy). As Daisy is very volume intolerant and ontop of her inflammation has lots of other issues with her digestive system it was decided to start her very slowly - on 1ml per hour of her feed over 20 hours . Yes, that's right! 1 ml per hour - not even enough to put through her enteral pump, we had to syringe it into her gastrostomy! Well - the reality is we are only going through the motions of trying to regrade her as no-one really believes she will be back up to anywhere near a sensible volume for a long, long time. Daisy reacted by having lots of mucousy diarrhea ( a sign that her gut is still inflammed) and then her tummy bloated up like she was pregnant - a sign that her gut was on strike again! So needless to say we stopped the feeds and have tentatively restarted them again today although she is still looking bloated and is uncomfortable tonight. The whole idea more than anything is to keep the gut stimulated ready for feeding at some point. It's so frustrating as our lives are really in everyone elses hands, not least Daisy's . All these plans are made on the assumption that she will be well enough to come home however, she does have a habit of throwing some not inconsiderable spanners into the works. Andy and I managed to catch a rare 5 minutes face to face this evening and we both agreed that there's no point in beating our chests about the situation, it's crap but it could be so much worse and we are just going to have to get on with it, we've got this far, we'll keep going. We did have some good news today. Up until about 6pm this evening our Christmas together at Chase Hospice was looking in jeopardy - there was the issue with taking the hospital TPN pump with us and then we were told that there was no guarantee that the ward could hold Daisy's cubicle for us while she was out of it. The reality that we were facing was to risk leaving the hospital with no guarantee of a bed on boxing day, we would have had to go to A&E and be shipped to wherever there was a bed. 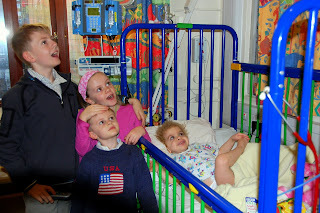 I had visions of all six of us crammed into Daisy's isolation cubicle on Christmas day trying to make the most of it and suggested to the hospital managers that they might want to explain the real reason for not being at Chase to the children. Anyway, to cut a long story short the powers that be (whoever they are) decided that in the season of goodwill not only could we take Daisy's TPN pump out of the hospital but they would hold her bed, not just for Christmas night but from her birthday on the 22nd through to Boxing day. This means we will have a whole four nights together in Chase Hospice before having to return to hospital - barring any of Daisy's infamous spanners of course.....!